If you’re ready to learn even more about how to enhance the candidate experience for your organization, you can download our e-book titled “Think Like a Candidate…Recruit Like a Winner!” We’ll take you through the entire candidate journey from initial search to onboarding, offering key insights, great advice and relevant stats. Job Titling is not necessarily the first thing you think of when developing your recruitment strategy. 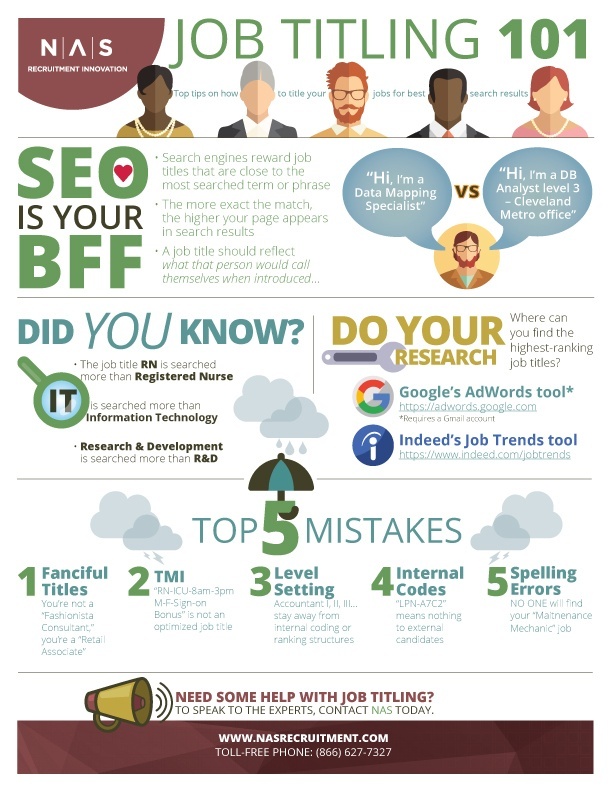 But, it’s definitely the first thing that candidates are thinking of – most start by typing a job title into a search engine. That’s why it is important to title your jobs correctly, so that there is a match with the people who are actively looking for the job. As the Data Mapping Specialist for our ACTIVATE™ Candidate Attraction Platform, I see a lot of job titles from companies in many different industries. Here are some common mistakes that could hinder your ability to reach individuals who could be a perfect fit for your organization.